For Gen Xers who grew up in the 1970s, most of us remember at least a few of the iconic advertising campaigns by an organization known as the Ad Council. Indeed, the crying native American TV ads helped influence an entire generation of us. The ads themselves received all kinds of awards from the advertising industry. But is this a case of a Hollywood-esque awards show sponsored by the industry, giving itself various awards and forcing the country to watch as it does so? The short answer is "kind of". The Ad Council was the creative force behind these iconic public service advertising (PSA) campaigns including the crying native American as well as versions of Smokey the Bear and others. And while the Ad Council's creativity was behind the ads, the organization which based in New York City, began as part of the war effort in the 1940's. But the actual organization which paid to run the ads was an organization that called itself Keep America Beautiful, which sounds innocent enough, but isn't your grassroots Sierra Club. In reality, it is/was a a pseudo-charity funded by the packaged good manufacturers in this country. In other words, companies like McDonald's, Pepsi-Cola, Coca-Cola, Reynolds Aluminium, Nestle Waters, the American Chemistry Council — these are the companies who produce both the chemicals and the packaging material that ends up in our waste stream and in our garbage stream, and they were the ones lecturing us to pick up our waste to keep America Beautiful. If only the ads weren't funded by the companies that created all that waste! 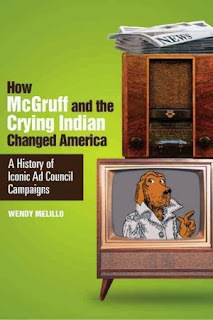 Wendy Melillo, an assistant professor of communications at American University is the author of a new (as of September 2013) book entitled "How McGruff and the Crying Indian Changed America: A History of Iconic Ad Council Campaigns", is interviewed by NPR about these campaigns and the organizations behind these iconic campaigns. 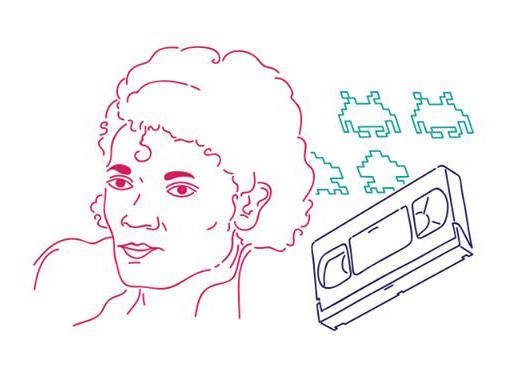 The interview which can be listened to below (or by visiting http://n.pr/1bMejQk) is fascinating. I think its important to acknowledge that Ms. Melillo isn't trying to discredit the Ad Council's work. Indeed, she claims it is a "premier organization we have in this country for public service advertising. And it does a lot of good." She says her goal with this book is to take a look at the business model, and to recognize that there are some limitations. She says society can work together to determine how we can improve that to make it even better, but she clearly thinks that one of the keys is making sure people know what the current business model's limitations actually are.